For the first race of the 2019 4WP Eastern Series, we're off to Pittsburg, TN for the first time to Adventure Off Road Park! This 500-acre property located in the mountains of South Central Tennessee offers the ultimate playground for off-road enthusiasts of all types. 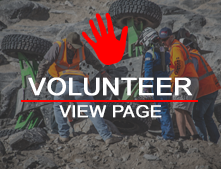 With over 120 different trails of various degrees of difficulty, we look forward to mapping out a course that not only challenges our drivers from every class, but also showcases their skills behind the wheel! Read more about The US Gear Tear Down in Tennessee is Right Around the Corner!